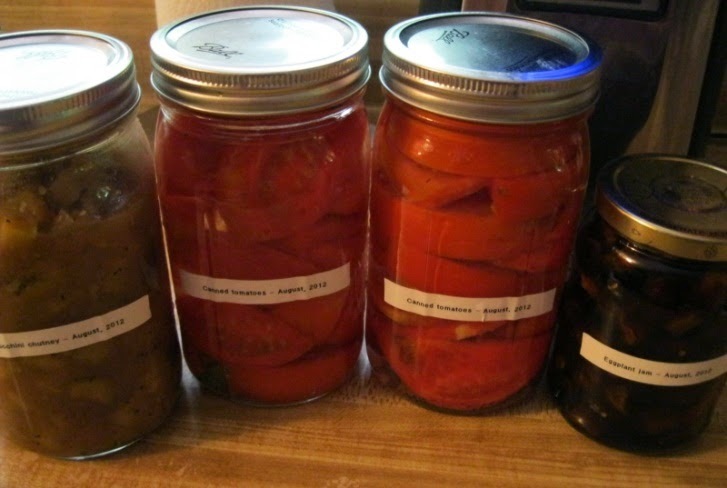 We have talked about canning and pickling in the past. But just in case people have forgotten what we talked about, I'd like to remind you to approach pickling seriously. It is great fun and - done right - the results are very rewarding. It's always awesome to pope a jar of home-made pickles in the middle of winter and enjoy that summertime crunch or offer your guests a fantastic veggie spread and tell them you've done your own pickling. But in order to get good results, one must have a solid process, with great discipline, organization, coordination, and thoroughness for each step. I am not going to talk about jar sterilization and pressurization - there are tons of instructions for that on the internet, and printed on a leaflet sold with just about any canning product, including jar caps. 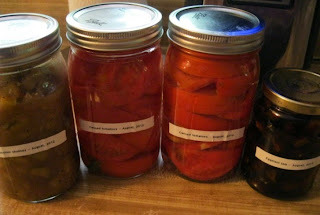 Rather, I would like to suggest a few variations on the basic pickling solution to expand your range of flavors. Note: If you don't have fresh herbs, make it a pinch of dried parsley and a pinch of dried dill. Do consider growing them - they are not that hard to maintain, and they smell great! - Instead of a pinch of sugar in the basic brine recipe, add 1 cup of sugar per each cup of vinegar. So in our basic recipe above, we would have 3 cups of water, 2 cups of vinegar, 1/4 cup of salt, and 2 cups of sugar. - Also add to the brine, 1/4 teaspoon ground tumeric and 1/2 teaspoon of one of these (not all of them - just whichever one you prefer): cayenne pepper, mustard seed, dried mustard, ground black pepper, chili pepper. - Add 1 slice of a medium-size sweet onion to the jar. The good news is that all these additives are not only great for flavor enhancement but also good for you. Happy pickling!